Aubin Ace Hardware Has Been Proudly Serving the NH Community Since 1974. After over 25 years in the hardware business, Gerry Aubin decided to take the leap and founded Aubin Hardware. For the past 43 years, we have become a go-to hardware store for many homeowners, DIYers, and commercial professionals in Manchester, NH. Gerry ingrained a first-class work ethic in our team that we not only strive to meet, but exceed his high expectations. We pride ourselves on delivering superior customer service with extensive product knowledge, attention to detail, and a friendly atmosphere where anyone can feel comfortable asking advice from our experienced hardware professionals. Our staff is well-trained and ready to assist you the moment you walk through the door. 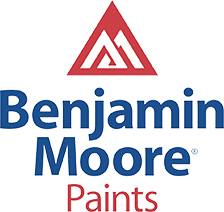 Our comprehensive inventory has been curated by years of experience and the strategic partnerships we have made with exceptional companies like Ace Hardware, Benjamin Moore, Weber, and Scott’s Fertilizer. From gardening tools to paint supplies and construction equipment, the professionals at Aubin would be happy to help you determine exactly what you need for your next home project or contractor service requirements. Come on down to our showroom and experience the Aubin difference.